Now it’s all starting to come together. We’ve seen several reports leaking the alleged hardware specs for the Xperia Z3, but most of them point to very minimal bumps in hardware. The Snapdragon 801 processor is expected to get a slight speed increase, for example, and the RAM, camera module and storage options all look about the same on paper. Now we’re starting to see what Sony might be doing here. 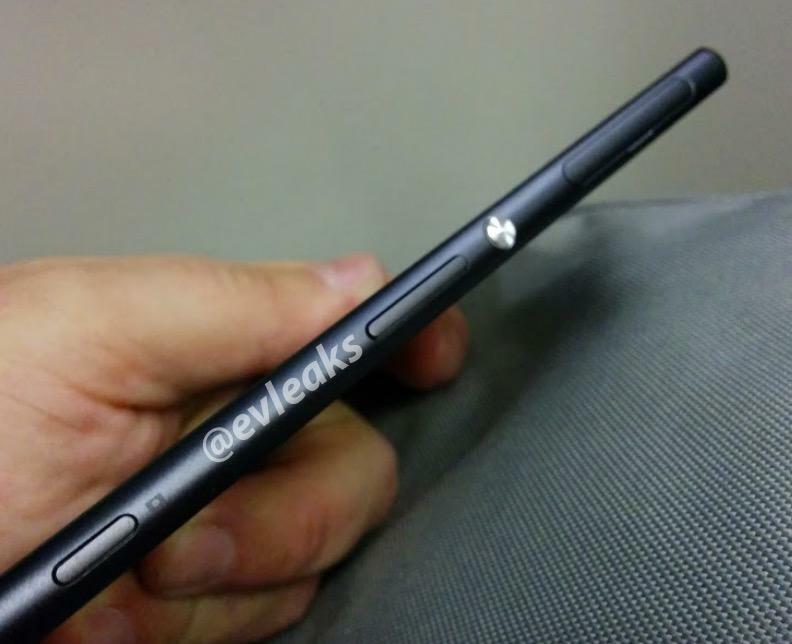 Evleaks on Thursday posted a new picture of the alleged Xperia Z3, and we can see its beautiful and thin profile. Sony has kept the design language pretty consistent across its Xperia products, but this shows a more rounded approach to the phone, instead of the rectangular look of earlier Xperia handsets. We can’t really tell from the picture, but it seems possible there’s also some more brushed metal involved, instead of just plastic, but that’s only our own speculation. The staple round silver-colored power button is still being used, and we can see that Sony isn’t ditching the dedicated camera button anytime soon. Our best guess is that the Xperia Z3 will be unveiled during the IFA trade show in Berlin this September. TechnoBuffalo will be there and we will bring you hands-on if it does indeed make an appearance.